Based in Louisville, ANGEL’S ENVY Port Finished Bourbon is aged and finished in extremely small batches by a handful of skilled craftsmen. It was the final creation of bourbon legend Lincoln Henderson, and production has continued under the people he trusted most. His son Wes, his grandson Kyle, and longtime colleague and family friend Kevin Curtis are currently guiding the company through the production of the spirit. We sat down with the three gentlemen to talk about ANGEL’S ENVY. Wes Henderson is the Master Ambassador and Chief Innovations Officer, Kevin Curtis is the Distillery Operations Manager and Kyle Henderson is the Production Manager. (WH) One thing that always interested my Dad was barrel finishes. We took some cues from the single malts that are out there because they were really the ones to get into the barrel finishes. In the United States, some people had dabbled in barrel finishes, but before we launched, nobody had mad a really made a distinctive effort to really embrace the process. Over the years, there have been a few finished releases here or there, and they were good, but maybe a little ahead of their time. 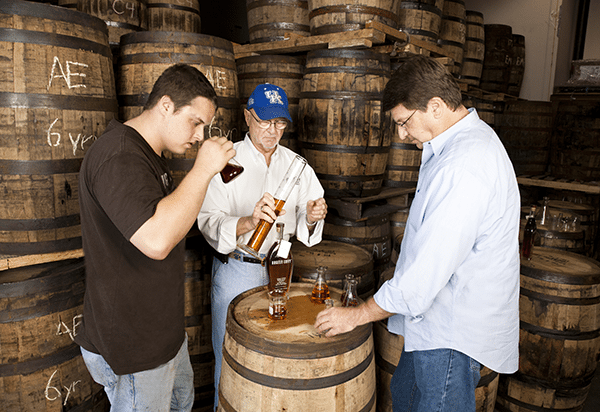 We see it a lot with the stuff that Dad played with at Brown-Forman 30 years ago. But there just wasn’t a market for it. Thankfully for us, there’s definitely a market now. But we’re not a one-act show, there are a lot of other different finishes Lincoln left, different mash bills, historic recipes, along with other throwbacks and innovations. Once our new facility is open downtown, we’re pretty excited by what we’ll be able to play with and offer. What, in your opinion, differentiates Angel’s Envy from the rest of the category? (KH) The number one difference that we offer is the finishing process that complements all of our whiskies. We look for finishes that will complement the flavor of the spirit without challenging it. When we decided on a rye, we sampled more than a hundred different rums before he found the one best suited to the spice of our rye. (WH) As Kyle mentioned, for now, our finishing and blending processes have vaulted us to the head of the craft distiller class. Universally, our products have been accepted as being very smooth and drinkable to a wide range of consumers. I also believe we’ve found the sweet spot where we appeal to long time bourbon enthusiasts and people who are new to the category. What’s your favorite or most satisfying part of the job? (KC) I enjoy the fact that distilleries, and the necessary skills to operate one, are a combination of art, science, history and environment. The science and history are fairly obvious. The art is something that is acquired over time by trying things, making mistakes, learning and getting to know your plant and equipment. When I say environment I mean the location of the distillery, the local flora, water source, grain suppliers—the things that can influence your fermenters and whiskey just because of where you are. Those things are different for every distillery and can’t be reproduced or exported to another location. (KH) My favorite part? Getting to taste every barrel regularly. (Laughs) Not like that, it’s a hands-on process that’s one of the benefits of being a small company. It lets you know exactly what to expect from each barrel. My other favorite part is working with my Dad, which I never expected to do. (WH) Hands down, the chance to work with my Dad and Kyle. And now Kevin. It really is a dream job when you get to work with your family and close friends and make something you’re all proud of. What do you envision for the future? Where do you see Angel’s Envy in a year? In five years? (KH) Hopefully we’ll be able to release some unique products now that we’re close to firing up the still in our new facility. In five years I’ll be excited to see some aged whiskey coming out from our new distillery. Who knows what comes after that! Who’s the biggest bourbon fan you’ve ever met? (KC) There is a gentleman named Tatsumi from Osaka. He owns a bourbon bar there. He travels to Kentucky a couple times a year for various bourbon events. While he is here he rents a car and travels around the region finding little, back-roads liquor stores in search of whiskies that the owner’s dad may have tossed in a corner of a back room and forgotten. He finds these amazing old bottles of bourbon from the 60s and 70s. He’s even written a book about bourbon, in Japanese of course. Whenever we run into each other at an event he is just so excited to be there, to talk to me and to talk about bourbon. Friendliest guy you’ll ever meet and a complete bourbon fiend. He is truly a devoted fan of all things bourbon. (KH) The biggest bourbon fan that comes to mind is Eddie Noel, from up in Northern KY. He is a major collector, but he’s also one of the most generous guys with his collection that I know. He is more than willing to let you taste some of the rare offerings that he has found, and thankfully, he loves our product. (WH) Wow! I can think of a lot of big bourbon fans. But I’d feel remiss if I didn’t say my Dad, Lincoln. 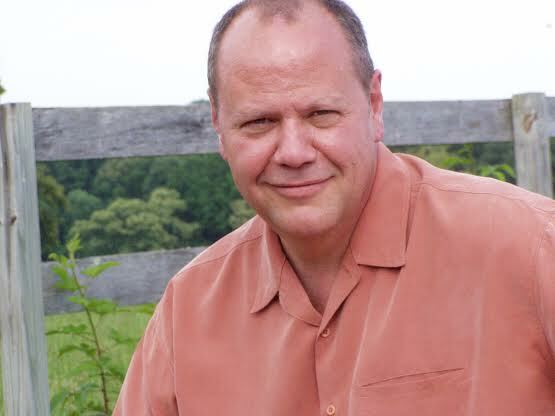 He devoted his entire professional life to crafting bourbon, mapping and exploring flavor profiles and really digging into the science behind the art. He might not have had the biggest collection, but he definitely helped to create one. What do you enjoy about the spirit industry in general? (KC) I would have to say the friendly camaraderie between all of the distillers. Of course, there will always be a competitiveness, but it’s good-natured. We like to give each other grief, but it is always with a wink and a grin. It is common practice for a distillery to borrow a part, or tool, or fitting from another distillery, if they are in a pinch. (KH) Yeah, like Kevin says, we’re a pretty tight knit group. If we need help or have a question about something, all it takes is a phone call to the next facility over and either we get an answer right then, or they send someone over who can help. I can’t think of many other industries where the competition wants us to do just as well as them. (WH) It’s definitely the camaraderie. That’s a huge part of it. The Louisville distilling community is made up of wonderful individuals, and I can’t think of many other industries that share the goodwill we do. But also, for me, this was the family business. A lot of people growing up will talk about remembering certain things in your life that were impactful—the sights and smells of growing up. A lot of people would remember their grandmother’s apple pie. My first memories were of going to work with my father and the aroma of fermentation and distilled spirits. So now when I walk into a distillery and smell fermenting grain, that’s my apple pie. Heaven Can Wait. Please Drink Responsibly. To learn about responsible consumption, please visit the Foundation for Advancing Alcohol Responsibility.